Our teaching does not end when the last bell of school rings – this is because we provide a wide range of afterschool, Saturday and holiday programmes. Our Saturday mornings involve revising our school books with a dedicated team of teachers to pay attention to problem areas and ‘needy’ students. There is also a more intense programme for prepping for exams for our Grade 10 to Grade 12 learners. Masibambane hosts a number of School Sports Outreach programmes whereby we introduce neighbouring school students to ‘unpopular’ sports like Chess and Gymnastics and also host workshops for unemployed sport enthusiasts and coaches who are interested in introducing such sports to schools in our townships. Holiday programmes include Leadership programmes for Grade 6 & 11 learners, academic programmes as well as Life Skills Camps. The College also provides all these services to learners from neighbouring schools who cannot afford to study at Masibambane College but want to benefit from our wonderful resources and opportunities. In keeping with Masibambane College’s spirit of ‘Care and Excellence’, the Grade 7 & 12 learners from the College went on a cupcake crusade to collect over 500 cupcakes for the Thato Ke Matla Safe House in Orange Farm Ext 8A. Community Development Director of Masibambane College, Tshepiso Phahlane has always been at the forefront of creating awareness of social ills affecting the College’s surrounding communities and in developing projects with young people to create a positive influence. For his birthday, Sir Phahlane asked the learners to help him celebrate his special day by doing community service and bringing smiles to those less fortunate than themselves. The learners and Sir Phahlane visited the House which is home to abused, abandoned and orphan children from the Orange Farm Community. The learners and children from the Home had a fun-filled day playing games, dancing and enjoying colourful cupcakes together! Inspiring belief in young people is the first step in helping them reach their full potential; this was showcased through the events at Masibambane College’s Youth Leadership Day. A day dedicated to uplifting learners from Grade 10 to 12 and nurture them to be the great leaders of tomorrow. The school had a day-long itinerary with keynote speakers including the founder of the campaign, Frank Magwegwe, who gave a stirring speech of his uphill journey from being a vegetable hawker in the bustling streets of Johannesburg, to being the CEO of Momentum’s Middle-Market. “I came to a realisation of how fortunate I am to have so many people who have touched my life to get to where I am today,” he said. This prompted him to pay it forward and start an NPO named Inspire Belief that he invests a portion of his income to, and also urges businesses to do the same. 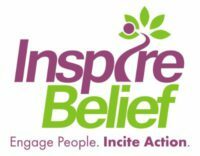 Inspire Belief Financial Education which assists teachers to acquire knowledge about financial aids and make better financial decisions. Other speakers of the day included Lincoln Mali, Pieter du Preez and Kefilwe Morobane. Several classes in the school also conducted skills workshops on how to write a CV, knowing your purpose and values, as well as offering bursary and learnership applications to the learners. After the educational and stimulating events of the day Qhubeka, a NGO aimed at making Africans mobile by donating bicycles to rural communities handed over bicycles to the school. Project Manager of Qhubeka, Giovanni Mottalini and his colleagues showcased a slideshow of their fun journey in making the bikes and how the initiative has helped over 13 countries and supplied more than 65 000 bikes. Masibambane College has been providing quality education to children in Orange Farm since 1997. Masibambane College is an Anglican Diocesan School initiated and supported by Education Africa and St. Johns.